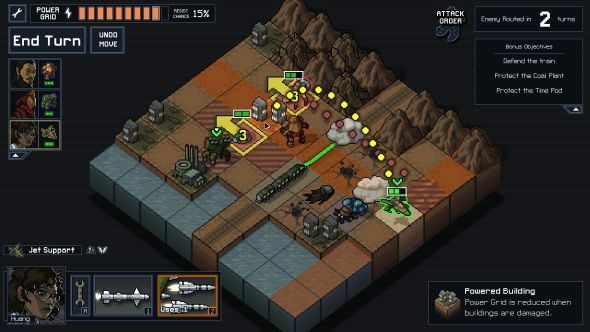 FTL developers Subset Games have announced their new tactical RPG, Into the Breach, will release on PC later this month. The essence of strategy is choosing what not to do. Check out the best strategy games on PC. Last year, Subset Games announced they would be making their return with Into the Breach, a turn-based kaiju defence with giant robots. However, we didn’t get an official release date until now. According to a tweet from the official Subset Games Twitter account, Into the Breach will release on PC on February 27. Into the Breach is a turn-based strategy game that sees you using robust mechs to defend cities from rampaging, giant insects. If you are not familiar with Subset Games then you may be familiar with the work given that they’re studio behind perilous, spaceship sim FTL: Faster Than Light. Into the Breach will be available for PC on February 27 from Steam, GOG, and the Humble Store.